DANAH unites high class singing and melodious pop-rock with her unique voice. On the official DANAH website, she presents her own songs, her band and tells about herself. You can read the whole story online. 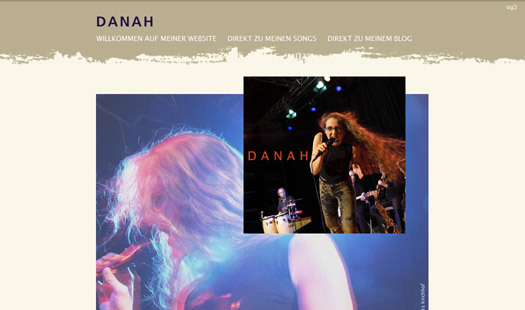 DANAH sings in Swiss-German and you can listen to her songs as exclusive MP3 previews on the website. The website has been changed and is no longer online. The first DANAH album "bärndütsch fägt haut scho extrem" was released in April 2007.